The new year has officially arrived and its time to step into 2018 in style! Now, it's up to you to decide whether you are going to embrace the ever so popular phrase "new year, new me" and give yourself a whole new look, or just give your wardrobe a little update. Either way, we at Embellish are here to help you get a head start on the fashion trends that you will be seeing throughout 2018. After all, a new year is always a good excuse to treat yourself with new clothes! Your days of choosing between fashion or function are finally over! Due to the athleisure trend, designers have finally decided to make the waterproof, wind-resistant anorak a staple for 2018. So, say goodbye to water stained leather jackets or matted down fur coats, and hello to the stylish yet practical anorak jacket. Everything sheer is all the rage at the moment. From celebrities to bloggers to the streets, we can safely say skin revealing fabrics are a must-have. You're able to keep it sophisticated while showing off a little skin; we say that's a win-win right there! What's the perfect way to get rid of those wintertime blues? Color of course! According to the Spring 2018 runways and fashion forecasters, we are going to be seeing a year of saturated hues, especially ultra-violet, which has been named Pantone's color of the year. No boring neutrals for us this year; we are all about vibrant hues that can ultimately make our days a little brighter... literally. Color is exactly what the fashion doctors ordered. You guessed it! Fringe is back again this year. This detail always seems to add a bit of a twist to a simple garment. 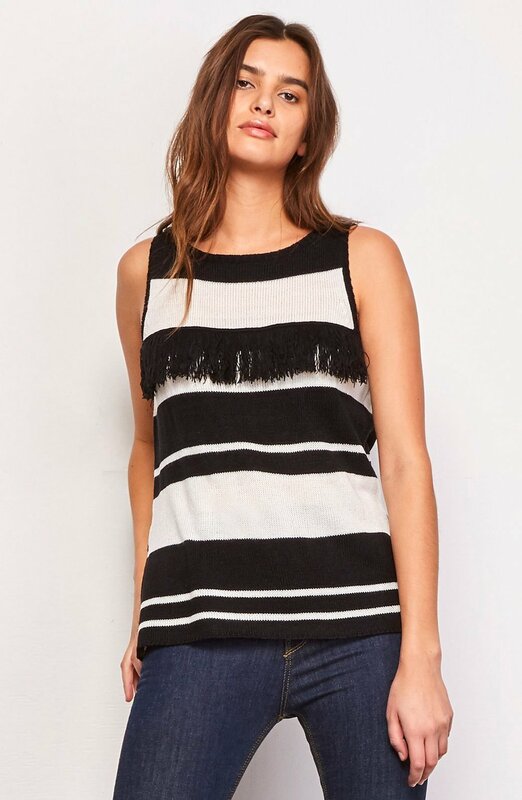 Make a fashion statement with your outfit this year by adding a little (or a lot of) fringe. This lively feature has us dreaming of frolicking around at music festivals and dancing the night away. All in all, fringe is the perfect way to create a show-stopping finish to any outfit. Gingham is the new plaid! This print will be everywhere this spring/summer, and it has your name written all over it. The flirty, feminine vibe of this print is perfect for downtown strolls or fun picnics at the park. This spring, grab you a blanket and picnic basket, and enjoy the fresh air in style. Comment below and let us know what your favorite trend of the new year is. Thanks for reading!